Hot the last couple of days and nights. So hot we all have to be careful, as it is easy to do too much and not realize there is not enough water in our systems, or that our core temperatures have gone too high. It is difficult to eat right, as it is too hot to cook much. The herd of cattle, led by Sybil, appear unconcerned. 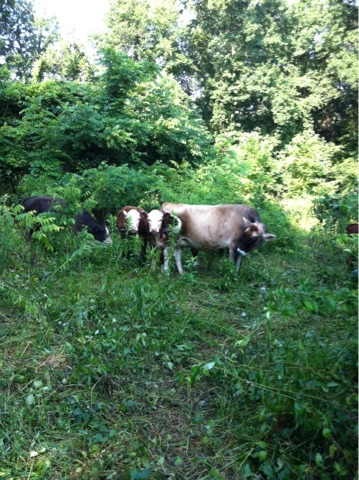 Tucked into the bottom of the hill and are using the shade of the woods. And eating everything around. 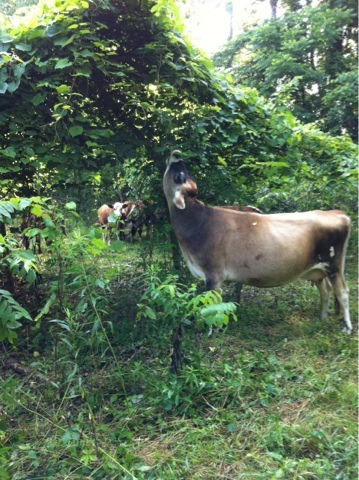 Plentyto eat, they are the only ones on the farm who appear unaffected by this heat wave.